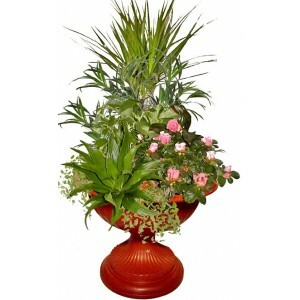 Dracaena, Azalea, Ficus Pumila and seasonal flowers planted with a plastic amphora. 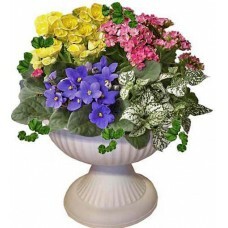 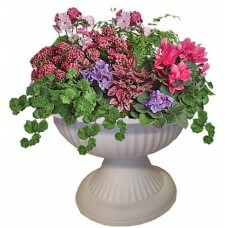 Amphora vase is that provides an ideal environment for the growth of flowers. 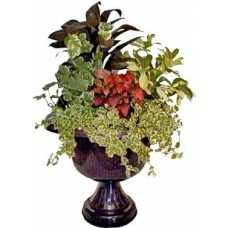 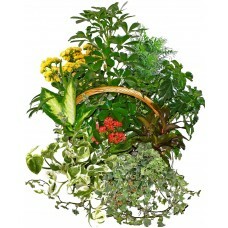 This arrangement can decorate room of your home or your balcony. 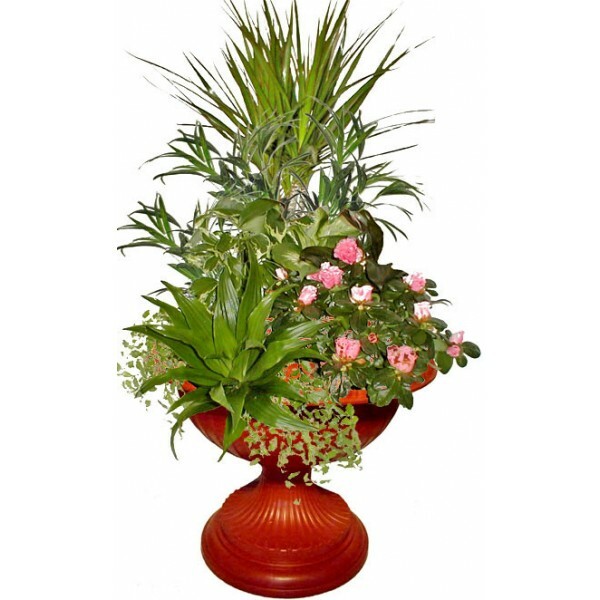 Bright light, no direct sun. 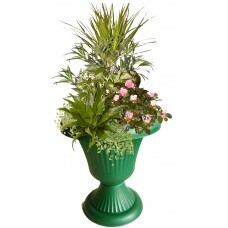 Water moderately and allow soil to dry out a bit between watering.